With August coming to an end many of us are wondering ‘where did the summer go?’ But don’t worry it’s not over yet! With the August Bank Holiday Weekend just around the corner make sure you make the most of the last weekend of summer and an extra day off work with friends or family on an outdoor adventure. Just minutes from Belfast City Centre join Mobile Team Adventure at Ardnavalley for a bit of competitive family fun. Race to the top of the mobile climbing wall and see who can hit the bulls-eye as you take aim at archery on this family afternoon out with a difference (suitable for ages 4 and up). 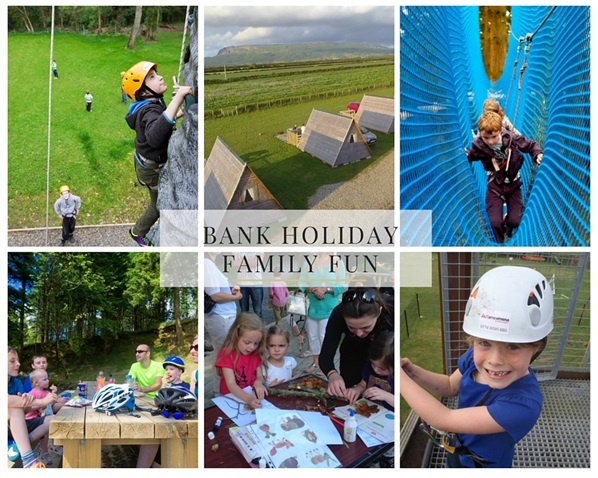 Set at the foot of Binevenagh along the Causeway Coastal route, Carrowmena Activity Centre is having a ‘Bank Hol' Blow Out’ for all the family with 3 for 2 entry. Have a go canoeing, reach new heights on the climbing wall, defy gravity on their zipline or get to grips with a bow and arrow (minimum age 6). You can also extend the family fun with a night in their glamping pods. With its blue, green, red grade mountain bike trails, skills park and jumps track the kids wont be complaining of getting bored during this day out. With bike hire available from the trailhead from Outdoor Concepts avoid the hassle of putting your bikes onto the car and pack a picnic instead to refuel after a day on the trails. Get yourself some tokens and enjoy an action packed family day out in The Jungle with activities including zorbing, archery, segways, treasure hunts and more the whole family are sure to stay entertained. For those wanting to try something unique, chilled out and fun then sign up to a Stand Up Paddleboarding (SUP) session (an ancient form of surfing with a paddle) with Long Line Water Trails. Paddle down the idyllic River Roe alongside a knowledgeable instructor providing you with tips and sharing local heritage as you travel along remote parts of the river under the shadow of the beautiful Binevenagh Mountain. Continue the fun on the water with a high energy coasteering session with Clearsky Adventure Centre which will see you traversing the stunning Ballyhornan coastline scrambling over sea cliffs, crawling and even jumping off rocks into the sea lead by your instructor. An action packed day out you won't want to miss! Kick off your day at Todds Leap learning to Clay Pigeon shooting under the watchful eye of your qualified instructor, followed by 2 hours of back to back combat paintballing an activity certainly not for the faint hearted! Before finishing your day hitting bullseye during an archery session. 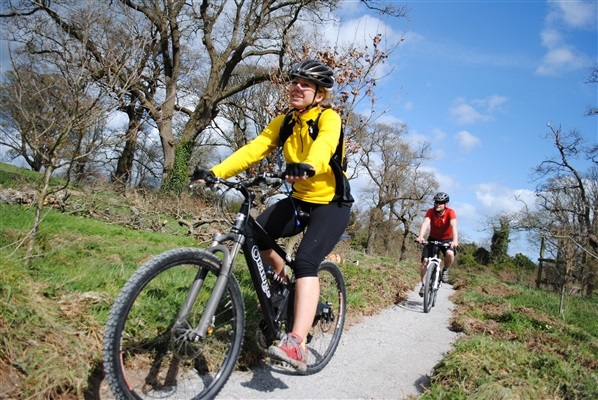 Avoid the hassle of attaching bikes to your car and get ready to hit the Castlewellan blue, green and red mountain bike trails. Spend the afternoon out on the lake in your very own kayak practicing your paddling skills and. Kitted out with everything you need by Life Adventure Centre at the trailhead for a day of adventure with your friends! 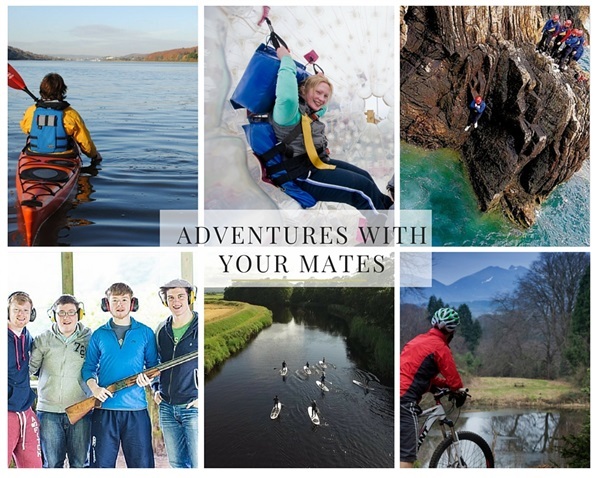 Whatever your Adventure have a great August Bank Holiday Weekend! 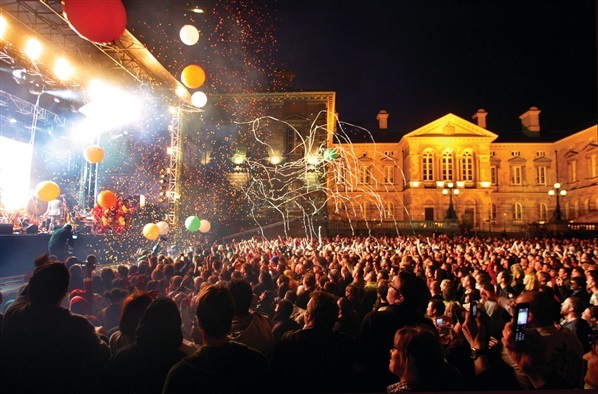 Northern Ireland is set to host a number of renowned artists and bands from all across the world over the next few weeks and with such a wide range of musical genres on offer, you'd be hard pushed to not find acts to suit your own musical preferences! 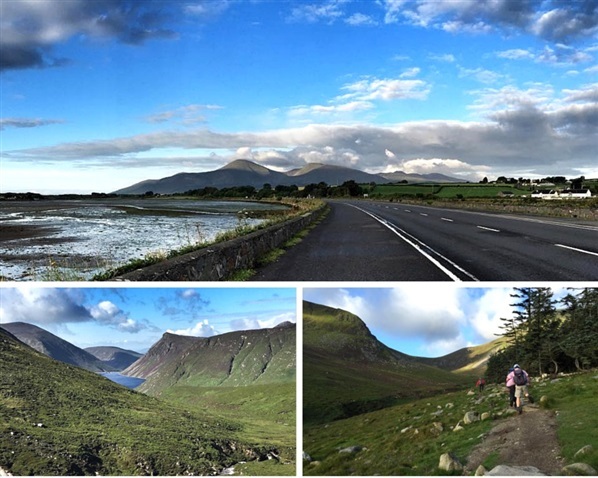 If you are planning on checking out any gigs across Northern Ireland in August and September this year, we'd recommend that you also stick your bike in the car as the chances are you won't be too far from one of our world class MountainBikeNI.com trail centres. 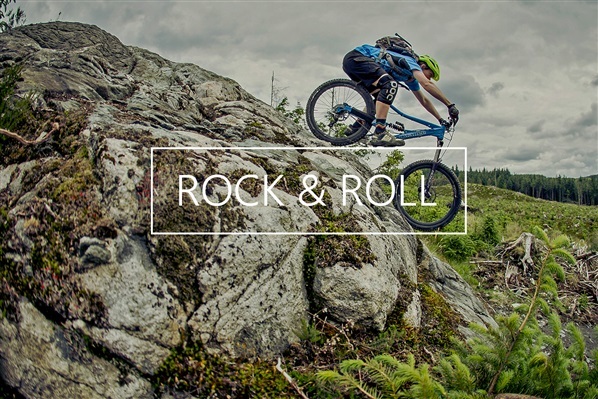 To make life a bit easier, we’ve put together a list of some of the biggest festivals and gigs near each of Northern Ireland’s official mountain bike trail centres over the next two to three weeks. Thousands of fans are expected to flock to see Calvin Harris, Ellie Goulding, The Script and Kodaline headline the Tennent’s VITAL Festival at Belfast’s Boucher Road Playing Fields on Saturday 29th and Sunday 30th August this year. The Barnett Demesne Trails & Jumps Park are less than 3 miles from the Boucher Road Playing Fields and boast a compact network of blue and red grade singletrack trails as well as Northern Ireland’s only official dirt jumps facility. There can't be too many better ways to warm up for a Calvin Harris gig!! Continuing to grow from strength to strength, the Belsonic festival in Custom House Square, Belfast, runs until Wednesday 26th August and there are still tickets left to see acts like Bastille, Above & Beyond and All Time Low to name just a few. Again the Barnett Demesne Trails & Jumps Park are just over 5 miles from Custom House Square in the centre of Belfast and perfect for anyone hoping to hit some trails before heading to the gigs. Now in its 24th year, the annual Bluegrass Music Festival at the Ulster American Folk Park near Omagh, County Tyrone, takes place from the 4th - 6th September and boasts three days of live music from some of the biggest names in bluegrass including the multi award winning Claire Lynch Band, Demolition String Band, Whiskey Deaf and Viper Central. The Ulster American Folk Park is located just over 20 miles from the Blessingbourne Trails, Fivemiletown and a little under 25 miles from the Davagh Forest Trails near Cookstown. For anyone who fancies the sound of a bluesgrass-style biking weekend in the Sperrins, this first weekend in September could be just the ticket! For those who prefer smoother, more refined tones, the National Trust is hosting an afternoon of Jazz in the Sunken Garden at Castle Ward on Sunday 30th August. Of course Castle Ward also boasts its own regional trail centre with three short family-friendly green trails and a more challenging 12km blue trail which follows the estate boundary and opens up some incredible views of Strangford Lough and the surrounding countryside. Check out our Castle Ward Trails page for more information. This city-wide weekend of blues in Newry attracts an array of local and international artists across a range of venues between 28th - 31st August. With a number of restaurants also offering special menus to complement the music, there should be a fantastic atmosphere on offer across the city over the weekend. The Rostrevor Mountain Bike Trails (located 10 miles from Newry) play host to Northern Ireland’s only purpose-built downhill trails as well as an invigorating 27.5km red trail and a challenging 19km black trail, all of which open up incredible views of Carlingford Lough and the Mourne Mountains. 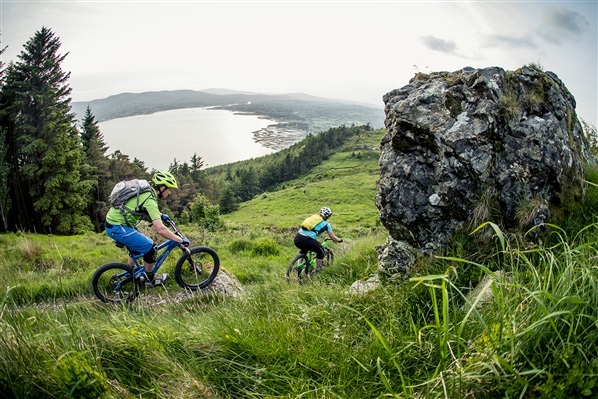 For those after a slightly easier going trail centre which still packs a punch, the Castlewellan Mountain Bike Trails are also just under 20 miles from Newry. 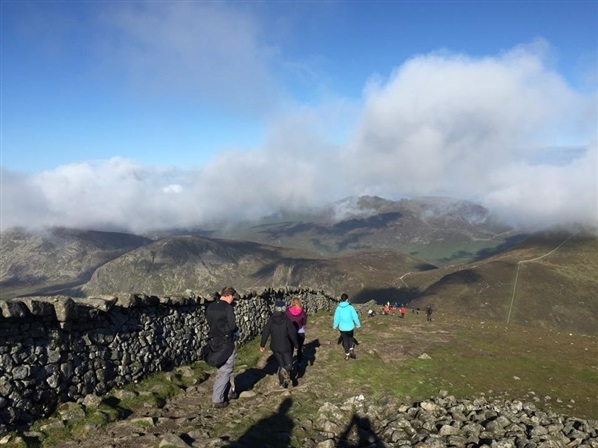 Organised by the Spartan Red Sox walking club taking place in August each year the Mournes Seven Sevens Challenge sees walkers climb all seven peaks in the Mourne Mountains, Co. Down that are 700m or more above sea level. A distance of 18 miles and 2,495m to climb this is no mean feat! We caught up with John McKenna who recently completed the challenge to get a first hand account of what it takes to complete such a challenge. Are you an avid walker? I've been walking for years now, Mournes, Wicklow, Donegal & Belfast Hills. I've been over to Snowdon, Ben Nevis and Scallfell Pike several times as well. The Mournes though are my favourite. If it's a 6 hour hike with several peaks or just a short leisurely walk, it has the lot. It also helps that its a stunning place to be at any time of the year especially winter. How did you prepare / did you do much training for the event? To be honest it kind of crept up on me. I knew it was coming up but was distracted by other things. So I hadn't really been putting in the miles to be ready for it. I'd been doing a lot of cycling of late so I figured that would help. 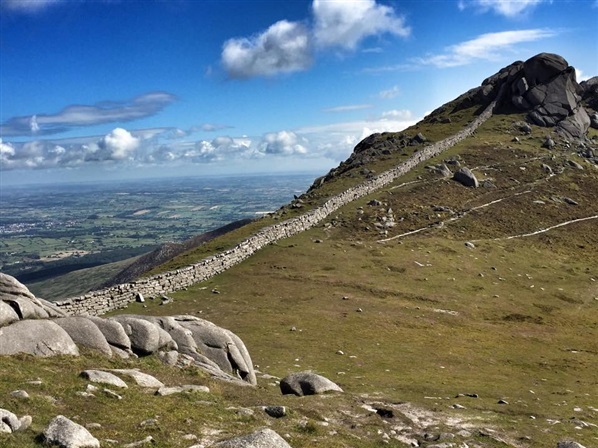 Have you done the Mournes Seven Sevens before? What made you decide to do it? No, I've never done it before, but this last year I've been looking for different things to try. 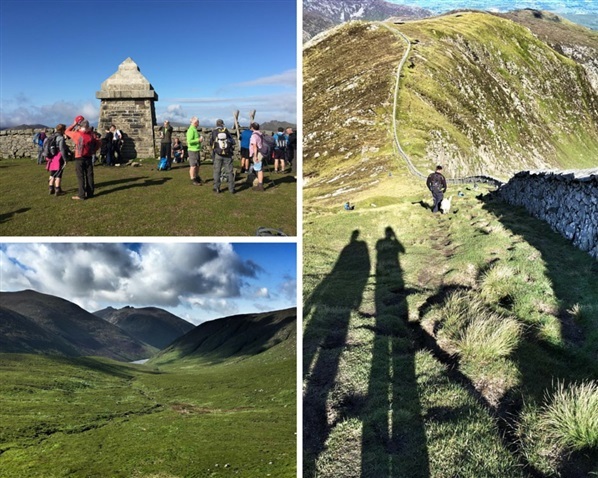 The Sevens in terms of a walking challenge is definitely a box to be ticked if your a walker. Did you do it alone or as part of a group? 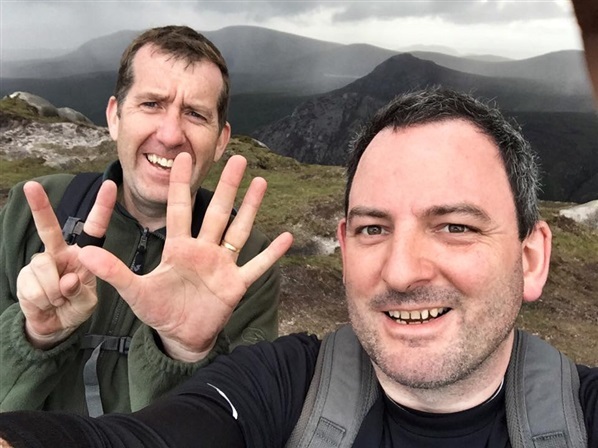 I did the challenge with my old friend Aidan Connelly from Dublin who comes up for regular Mourne walks. It was great to have company on such a tough walk, someone to spur you on when it got tough. I have to say that everybody we met along the walk were great, all sharing the same tough experience with good craic. I'm not going to lie, I found the later half of this challenge extremely tough. The long boggy part from Meelbeg to Bencrom really drained the energy out of me. Any energy I had left for Binnian and Lamagan was gone. So from that point on I was digging deep just to complete the challenge. I had to have a few hard words with myself on a several occasions!!! The high point was just the scenery and the amazing weather. When I was exhausted I rested and took in the views, a great lift, and I suppose thats the whole point of being there. What was in your bag? What food/kit did you bring? I pack light when walking. A fleece, waterproofs and a peaked hat to keep the rain from my face. Lots of water, a flask of coffee and sandwiches. My secret weapon though are a large packet of jelly beans. Guaranteed to pick you up when the energy levels are ebbing away. It took 11 hours and 45 minutes. The longest day I've ever spent walking in the Mournes. Do you have any advice/tips for those thinking of completing the challenge next year? Apart from getting your head seen to for doing it in the first place, good advice would be to put in the miles beforehand. LOTS! Maybe in a few years time, but I think I'd need my arm twisted a bit. My next challenge is a 1.5K swim at Glendalough open water festival, Wicklow in September. Something different, challenging and surrounded by mountains from a different angle, should be good! 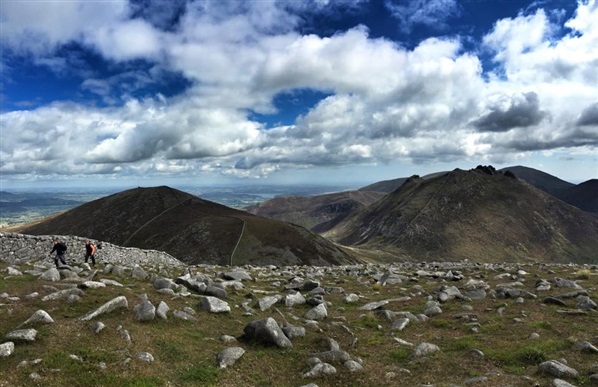 What is your favourite summit in the Mournes? That's a hard one. The views from each are all so different but I love Slieve Binnian, especially in winter with snow. Hot coffee & a bar of chocolate, 360 panoramic views all around, amazing! When not working or running after his kids, John walks hill, swims in the sea and rides his bike out onto the countryside. Every now and again he likes to challenge himself and do something he thinks he’s completely incapable of doing! This year this included a sprint triathlon at age 45, now on his third he is totally addicted! He lives by the motto: "Yeah, why not, what could possibly go wrong..."